This striking antique mahogany buffet trolley dates from the Victorian period, circa 1870, and is of superb quality. 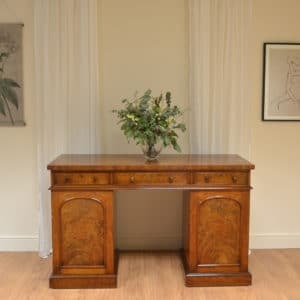 It has three tiers, each having a beautifully figured shelf and supported by four stylishly turned uprights, the tops of which are finished with unusual turned finials. 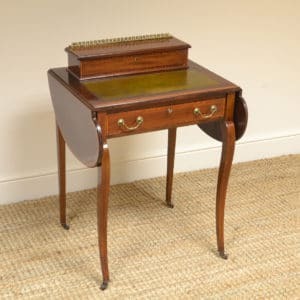 It stands on brass cup castors finished with white porcelain wheels. 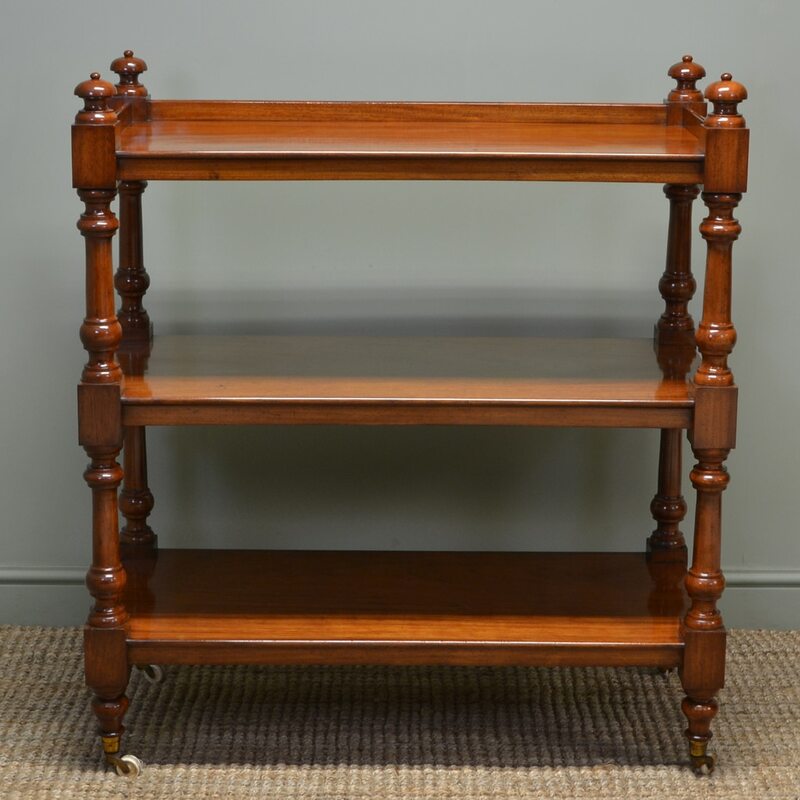 Although originally designed to serve food from in a grand Victorian dining room, in today’s world it would be an ideal statement piece in a large bathroom or bedroom to store towels and toiletries on! 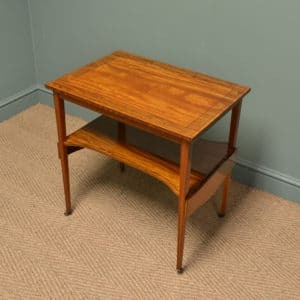 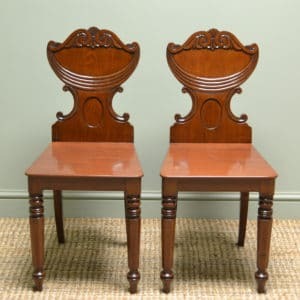 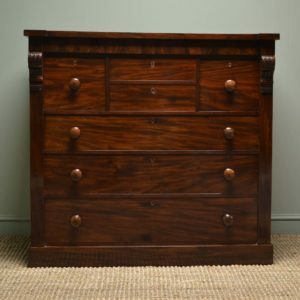 The mahogany is a warm medium shade with a striking grain, good patina, is in very good condition and has been beautifully cleaned using a traditional form of wax finishing.